Wearabletech-Unless you spent the past month underneath a rock, you have probably heard enough buzz surrounding the Apple Watch’s unveiling to last a lifetime. Apple’s foray into the smart watch space is just the latest indication that the wearables market is forcing its way into the mainstream. Recent research from Business Insider projects that the number of wearable units shipped globally will rise from just 33 million in 2015, to 148 million by 2019. This represents a 35 percentcompound annual growth rate. One of the primary reasons the market is beginning to explode now is the emergence of LTE chipsets which provide enhanced network connectivity and reduced power consumption. LTE is much more suitable than legacy technologies for connecting wearable devices, and so it will be central to the development of affordable wearable devices. If you make a point of examining the wrists of every person you encounter today, besides getting a few quizzical looks, chances are you’ll notice at least one person wearing some kind of fitness band. These devices measure and present all manner of health-related metrics, from how many steps the user takes in a day to optimum calorie intake. Wearable medical devices take the concept of improving health through technology a step further. As an example, gear that monitors glucose levels or tracks heart rates are now available to the general public. What makes it even more exciting is that an LTE-enabled fitness/monitoring band will be able to communicate specific information to relevant parties or caregivers. This could include functions such as allowing sports managers to monitor players’ fatigue levels during matches, or alerting parents or teachers to fluctuations in a diabetic child’s blood sugar level. Additionally, the low power consumption of LTE-enabled devices means that improved performance will not adversely affect the battery life of these devices. In fact, as wearable technology develops to devices with improved battery life, requiring charging on a weekly – rather than daily – basis, reduced power LTE chips will further enhance the performance of these devices. For example, wearable devices equipped with embedded sensors can automatically take measurements in harsh environments. This ensures that workers do not have to remove safety gear—such as gloves or goggles—to manually record data. The LTE-connected wearable device could then automatically transfer the measurements to the company’s central computer system, which could respond almost instantly with further, potentially life-saving information for the worker. Like other mobile devices, most wearables already are, or will soon be, compatible with a wide variety of applications that can change the way consumers enjoy their free time. For instance, many smart watches are compatible with golf applications that can help players track various statistics and measure exact distances from the pin during a round. At the same time, experiments are currently underway investigating how wearables, like smart glasses, can be used to enhance audience experience in spectator sports. Wearables will also take video games out of living rooms and make them portable. This development will seem like nirvana to many enthusiastic gamers. Speculation has already begun about the potential uses of smart glasses and watches for augmented reality gameplay. Meanwhile, there are currently a variety of gaming-specific wearables (such as wristbands and headsets) performing a variety of functions, such as transporting players’ progress and saving it to the cloud, to enhancing the gaming experience with hands-free and gesture-controlled capabilities. Currently, relying on USB and Bluetooth connectivity means that their full potential has not yet been realized. Introducing LTE into the mix will take mobile gaming to the next level and it won’t break the bank either given LTE’s cost effectiveness. Even a decade ago, the idea of wearing intelligent electronic devices on our wrists or pinning them to articles of clothing might have seemed like some far-fetched notion straight out of a sci-fi movie. Today, however, wearable technology is rapidly becoming a staple of everyday life for professionals and consumers alike. As the barrier to entry continues to get lower for manufacturers, and as purchaser prices follow suit, that trend will only pick up steam. With LTE as the communications engine, wearables could play an increasingly important role with some of the most important aspects of our lives, including health, fitness, work safety, and entertainment. 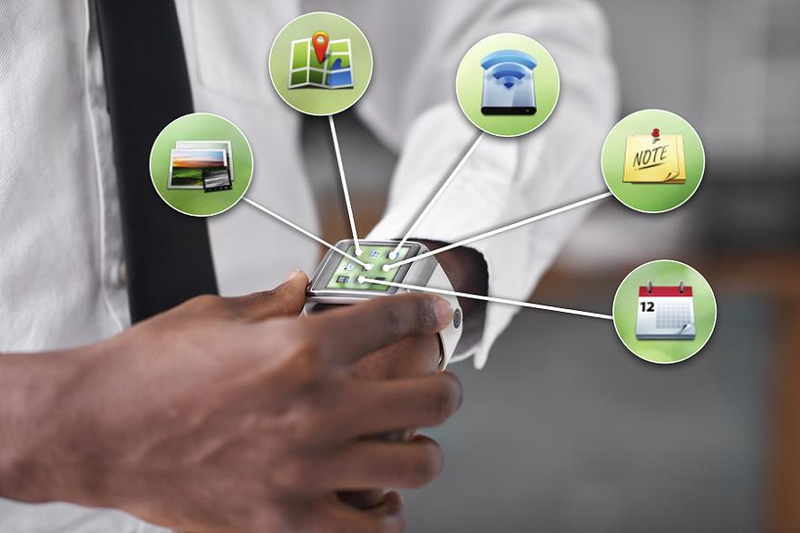 If you’d like to learn more about the advanced LTE chipsets that power many of the world’s wearable products and other connected devices, click here.